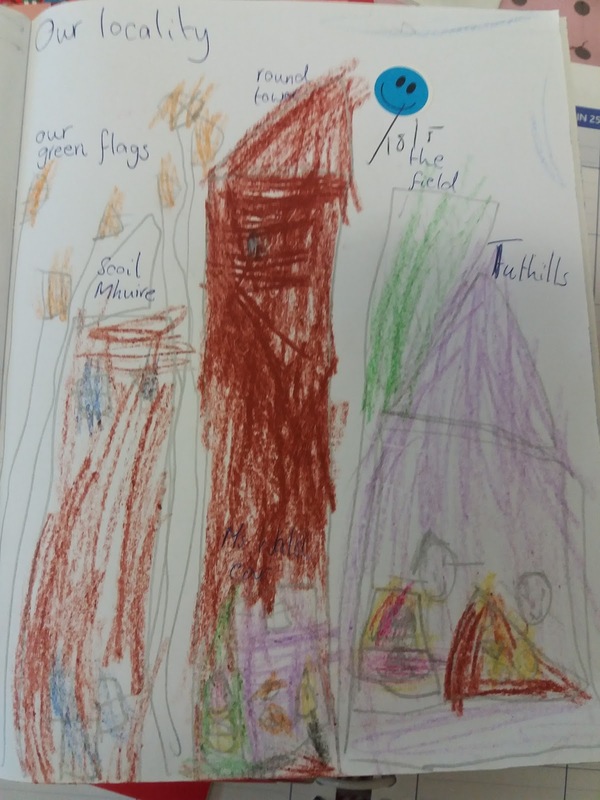 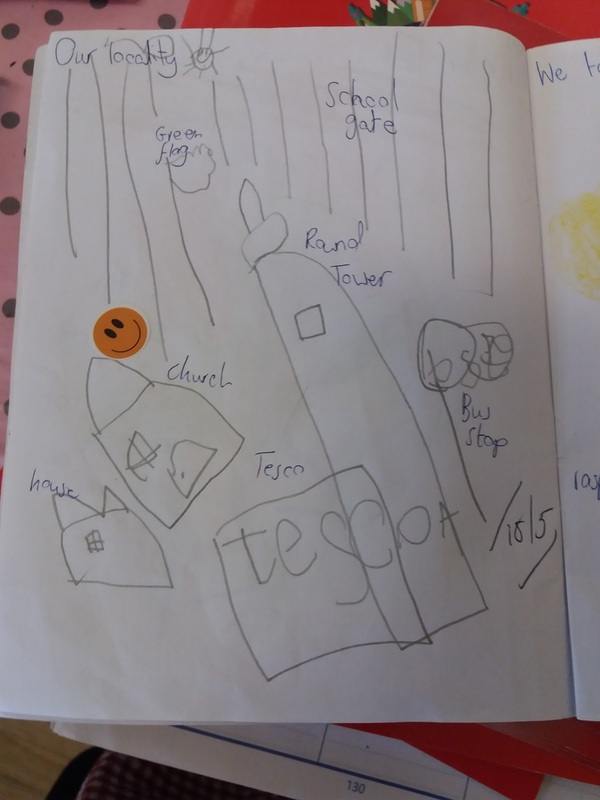 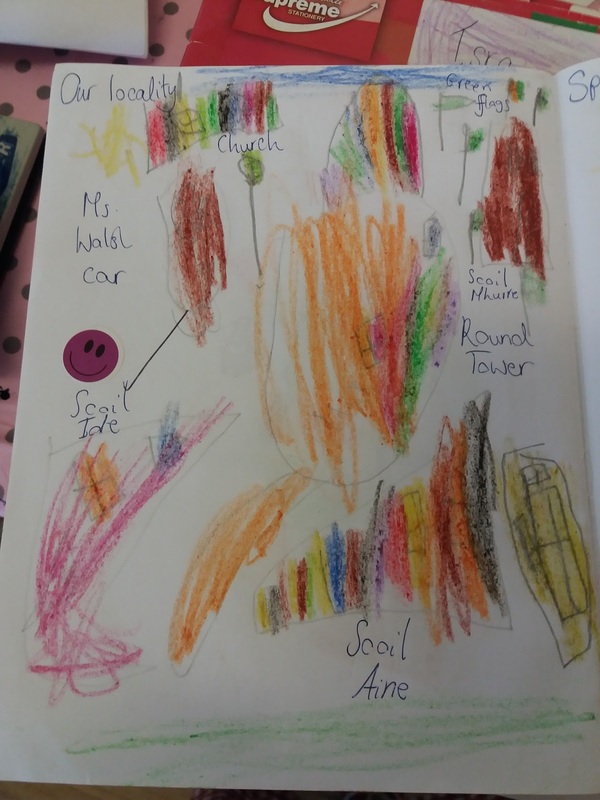 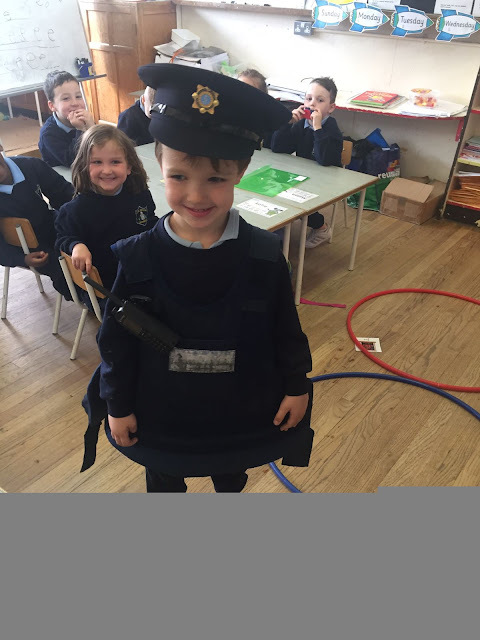 Teacher brought us on a little tour around our school and we saw lots of things...other schools, the GAA club, the church, the bus stop, the flags outside our school which represent that we are a 'Green School', the zebra crossing. 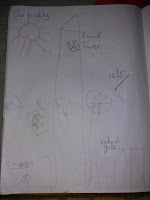 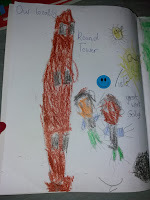 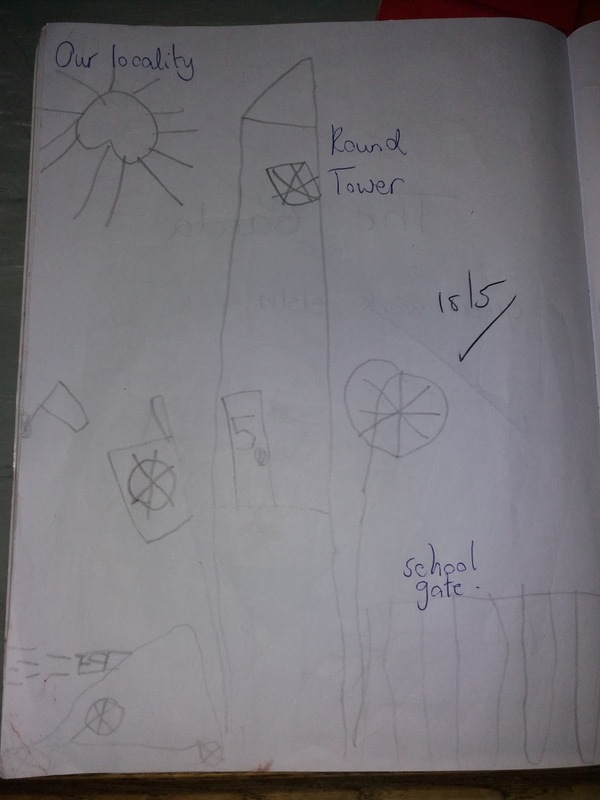 We could also see 'The Round Tower' from the church. 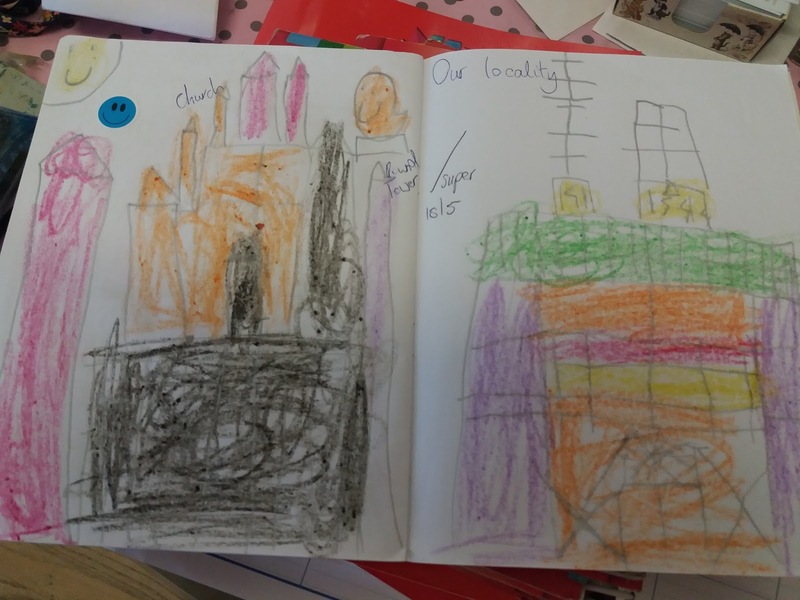 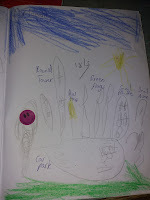 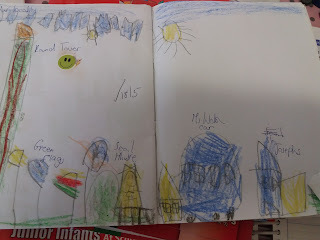 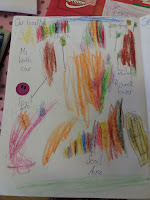 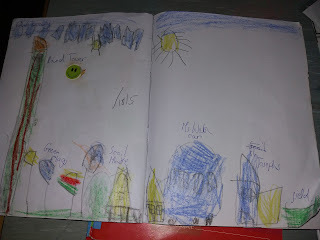 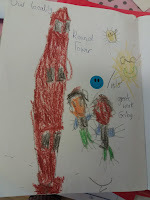 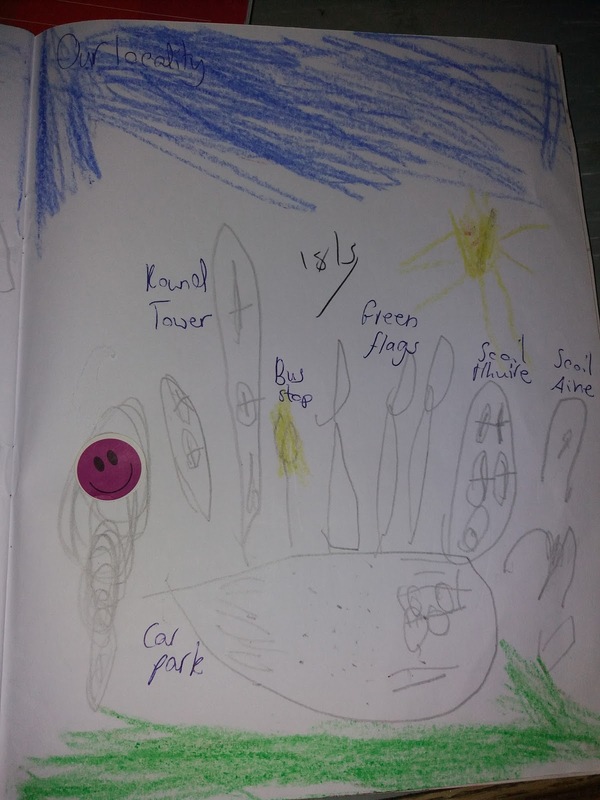 We drew lots of picture of what we saw in our copies.